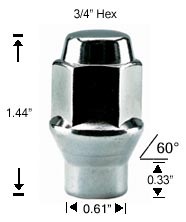 Extra thread lug nut acorn seat, helps with wheels that have sloppy fit to studs. 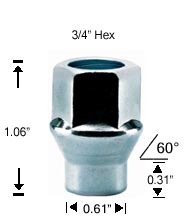 Extra thread lug nut, takes up slack in wheel hole when sloppy fit. Acorn seat. = FREE SHIPPING ON COMBINED ORDERS OF 75.00 OR MORE.